The annual monitoring of the status of European mink population in Hiiumaa has revealed that the population abundance has remained stable for the last years, even though there haven’t been any additional releases to the island since 2017. Besides the fact that the island was hit by an extreme drought and the number of small mammals was critically low last year, which made it a real survival challange for the minks, we were able to catch 10 minks during the last monitoring period. And the best news – they were all wild born animals! Out of those 10 (1F, 8M, 1? 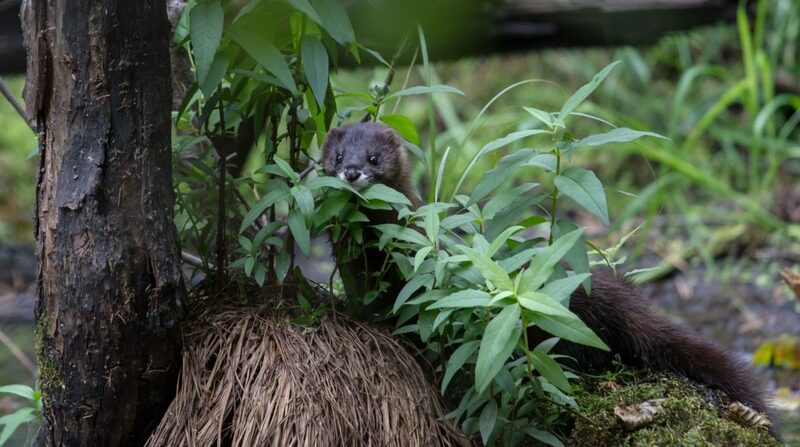 ), one mink was actually caught for the second time, the first time being during 2017 monitoring. This gives us some reassurance that the mink are doing fine on the island. 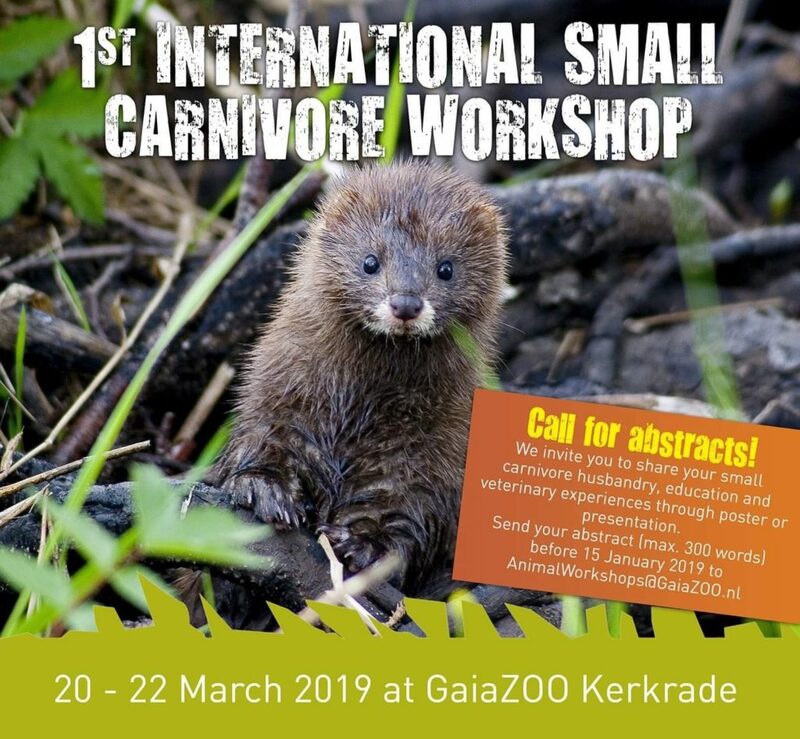 GaiaZOO & EAZA Small Carnivore TAG organised the 1st International Small Carnivore Workshop during 20-22 of March 2019. The days were full of interesting and practical presentations about the endangered small carnivore husbandry and conservation, including a keynote speech about the European mink. 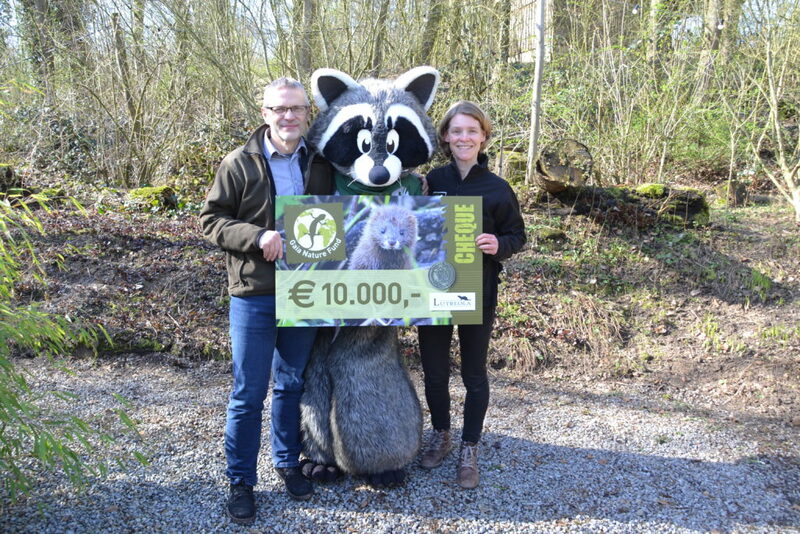 We would like to send our very special thanks to GaiaZOO, who has sold European mink charity pins throughout the year and collected 10 000€ for the European mink conservation and an additional 1500€ during a silent auction at the workshop. You have been wonderful partners and a great help to us! We are happy to announce that in 2018, a grand total of 23 326,91 Euros was collected from the sales of non-profit merchandise and donations. This is almost double the amount of 2017. Furthermore, donations for conservation of endangered species have increased every year. Find out in more detail about the money collected here! 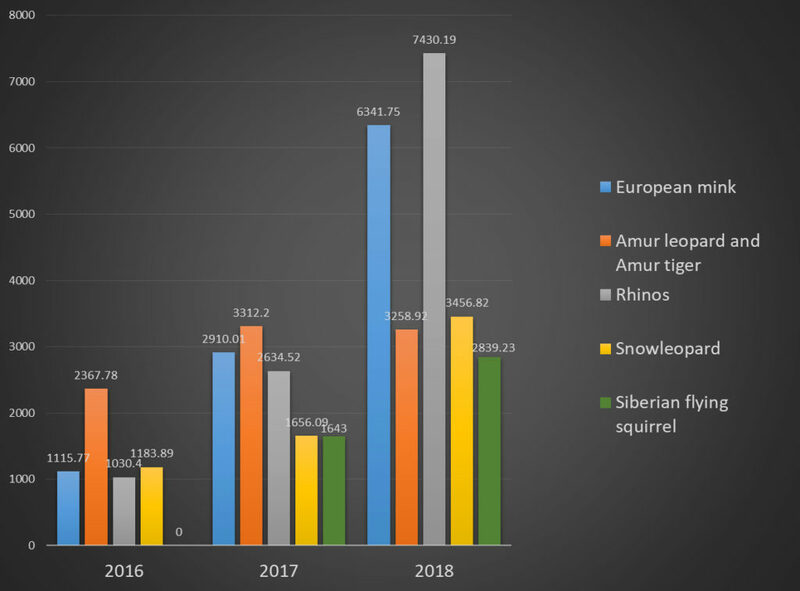 Illustrative graph about the donations for conservation of endangered species in 2016-2018. Second European mink newsletter has arrived. It gives an overview what has been done in 2018 for the worlds most critically endangered small carnivore in various European countries (Estonia, France, Spain, Germany, The Netherlands and Romania). Check out the newsletter here.